My A2Z 2016 theme is how to pursue an interest in family history/genealogy – thank you for joining me on this journey. 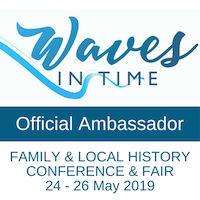 I hope it’s been helpful to budding family historians. Well you can forget about that once you start your research…those delicious ten hour sleeps will become a thing of the past. At almost any hour of the day or night you’ll find a fellow genealogist online somewhere in the world. Unlike the A to Z challenge, family history research never really finishes. It may frustrate you, and at times wear you out, but it will offer untold challenges and interest on your journey. Like the rest of us, you’ll find yourself doing a genea-jig when you make any discovery, large or small. The day you hold a document your ancestor signed, or you walk their land, will remain a special memory for the rest of your life. Happy journeying if you join me and my genimates in this quest. 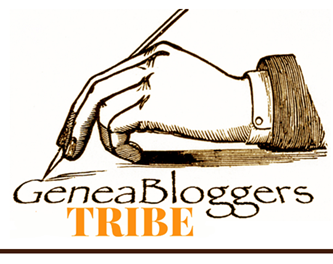 If you opt to start a blog, do join Geneabloggers so we can all follow along. You might be interested in some of the Z attributes genealogists will need. Thank you for following me on this journey…I’ve appreciated your support, especially that of new readers and my geneablogging mates. There’s a plethora of reading choices on this year’s A to Z Challenge, so my challenge to you on this last day is to visit the sign-up page and select one (or more) blogs to read between the numbers 100 to 199. Some letters have so many possibilities while others, like Q and X, challenge us to find a suitable match. W could be for so many records in family history research but I’ll limit it to a few. When we look at documents from certificates to news stories, our tendency is to focus on those we perceive to be the key players ie our ancestral families. All other names tend to blur into the background. Is this a Wise move? No, not really. After all, think once again of your own life events and transactions, and all those people in your contacts list. We rarely choose some random stranger to witness something unless the law requires us to do so. Quite often the witnesses will be close friends at the time (if not forever friends) or relatives of varying degrees of closeness. Looking closely at the names and trying to identify their connection to your family may open up doors and knock down walls. Similarly the absence of a name you’d expect will make you ask more questions. Had there been a family falling-out or was the person simply living too far away to be there? For example, my grandfather’s name is not listed among the many names of gift-givers at his sister’s wedding. Was he being difficult and was he Mr “Anonymous” or had their rift already occurred? Similarly was the absence of my maternal grandfather from his parents’ jubilee anniversary indications of the semi-isolation he experienced from marrying a non-Catholic, as I’ve been told, or for another reason? Presumably as he was patched into the photo, his siblings didn’t necessarily feel the same. Church records are highly likely to include close family. Broadford, Parish Kilseily registers hint at which Reddan family is related to my O’Briens in Co Clare. The disappearance of Bridget and Mary as witnesses gives a clue to their emigration date. As with all other family research, you will find wills in the jurisdiction where your family lived…or you hope you will. If they have so little it’s possible that they won’t require a will to go to probate. If they died unexpectedly, or they were just disorganised, they may have died without a will in which case you will be looking at intestacies. I have a mixed hit-rate with wills but when they’re good, they’re generally very good. You also never quite know what you might find in the packet which comes with the will and you may even get a death certificate as part of the documentation. You can read an earlier post here. In some instances you may find there are full lists of items owned by the person – particularly when death duties apply and the records have survived (New South Wales is good for this). I have been very lucky with the few family members who lived in NSW after leaving Queensland. These wills may in turn lead you to land records and previously unknown property assets. If you find the land records too complex there are a number of professional genealogists who specialise in this field. Did your family ever use the phrase “you’ll end up in the poor house”? The memory of the threat of poverty and ending up in the workhouse remained vivid for many of our Irish ancestors, especially those who left during or soon after the Famine. I’m not going to elaborate on these records here, but if you find your ancestor listed as a pauper, the workhouse records or the parish records are where you want to look. In Scotland you will also likely find information in the Kirk Sessions. My earlier post on the workhouses is here but the main gateway for information is this one by Peter Higginbotham. W is also for War but there are so many records available, and most researchers are familiar with them, so I won’t elaborate. Examples of how they can be used will be found under my military history category. There’s a plethora of reading choices on this year’s A to Z Challenge, so my challenge to you is to visit the sign-up page and select one (or more) blogs to read between the numbers 400 to 499. Alexander Dunn is buried in Winton Cemetery, Qld, a long way from his home in southern NSW. Putting the cart before the horse, sometimes tombstones can reveal some of our ancestors’ trials. How many of us have wandered cemeteries, sometimes just exploring and other times tracking down ancestral graves. We are shocked by the infant mortality revealed by tiny graves with touching tombstones. The death of young men in tragic accidents in those pre-safety-wise days, the horrors and risks hidden behind the deaths of young women who died of puerperal fever or simply being worn out from repeated births. I am always saddened by the deaths of people from many miles away who died and are buried far from their families. Tombstones might be the only place where an ancestor’s place of origin is detailed as their divided loyalty is reflected by shamrocks and wattle. The sadness of the death far from Scotland or Ireland is mitigated when that person’s grave is wrapped around with the graves of their descendants. The conflicts of religion can be revealed by the burial of husband and wife in different part of a cemetery, not to mention the dilemma of whether to be buried with wife/husband #1 or a subsequent spouse. Of course our ancestors, especially our pioneers, experienced many trials and tribulations. Without family to support them they were vulnerable to economic downturns, poor agricultural seasons, death of spouses and dependence on employment. This is why we need to look, once again, at as many records as possible. Land selections (and the loss of property), news stories, insolvencies, bankruptcies and court cases can all illuminate your understanding. At least some of these involved trials of the legal as well as personal kind. In times of war, there are the horrendous losses of (mostly) men, and the social impact of those who returned maimed and injured in mind or body. Throughout Australia there are memorials to these men who would have no grave in their own homeland…different types of tombstones. Each and every one of these losses created a great rent in the family’s fabric. Tribulation indeed. In memory of the children of John and Elizabeth McDonald, Winton Cemetery. In S for Stories I wrote briefly about leaving our descendants our own stories. There are many themes which geneabloggers can use to structure their stories…some golden oldies and some current. Why not check these out to see if they appeal to you? There’s a plethora of reading choices on this year’s A to Z Challenge, so my challenge to you is to visit the sign-up page and select one (or more) blogs to read between the numbers 700-799.
n memoriam the children of John and Elizabeth McDonald, Winton Cemetery. Why are we even bothering with our family history? Are we only interested in the biographical dates of our ancestor’s lives? Surely each of us is more than just those bookmark dates of our lives. Similarly, our ancestors’ lives can be brought to life by sleuthing out as much information as we can find, online and offline, about their lives. We have never met them, yet over time they become as real as our nearest and dearest. We form opinions of them from what we learn – perhaps it may seem a little fanciful at times as we extrapolate from what we learn but if we are honest to what we learn, we are doing the best we can. I strongly believe that our ancestors’ stories don’t have to be exciting and scandalous – most of us probably live solid lives without too much fanfare. Why do we demand more from those who came before? In the case of our immigrant ancestors perhaps the most courageous thing they did was to leave their families and travel to another country, sometimes on the far side of the world. How did they say goodbye to family knowing they’d never see them again in this life and in many cases, being illiterate, be unable to reveal how they were faring. I am in awe of their courage, their stoicism, and their commitment to establishing themselves and their families in ways their traditional lives could never have imagined. In the introduction to my Kunkel family history in 2003, I wrote: the names of the so-called “little people” are rarely recorded in the history books but they are the cannon fodder of wars, the workers who build a nation, and its railways, the families who make up its people. In more recent generations we frequently bemoan that we didn’t listen to our parents’ and grandparents’ stories. To be fair, I don’t think all of them were that fond of talking about their lives, and for many of us, our youthful busy-ness, and self-focus, let that chance go by, though some of us had more foresight. You may have to go beyond your direct ancestry to find out more about the family and look to great aunts and uncles or distant cousins. I’ve mentioned often, how my second cousin gave me a fantastic oral history of life on my 2xgreat grandparents’ farm. Once again, you may need to spread your net wider to find someone who is keen to share the stories with you. 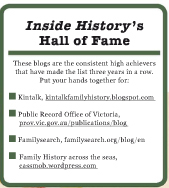 I found that once I started writing my Kunkel family history, Dad and Mum were much more inclined to share information. For those of us who blog, we have such a fantastic opportunity to write the stories of our family and their lives, in bite-sized chunks. Don’t forget to include your own story – don’t you wish you had a diary, letters or anything from your grandparents? There’s a plethora of reading choices on this year’s A to Z Challenge, so my challenge to you is to visit the sign-up page and select one (or more) blogs to read between the numbers 900-999. Grassroots Queenslanders: the Kunkel Family. Pauleen Cass 2003.